Violetta Dubinina is an internationally known and award-winning educator with 34 years of combined teaching and administrative experience. She holds Bachelors and Masters degrees in Mathematics from Kazan State University, and a Candidate of Sciences degree in Pedagogy. 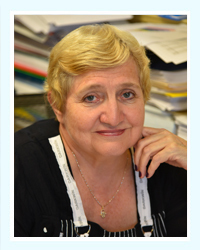 During her tenure in Russia, Mrs. Dubinina has taught at all grade levels, and achieved the status of honored teacher, the diploma of the Russian Academy of Sciences, and the Soros Foundation Grant. During her subsequent 14-year career in the United States, Mrs. Dubinina has taught and coached numerous students and was awarded the Edith Sliffe MAA Award For Distinguished Mathematics Teaching. Mrs. Dubinina holds the Permanent Teacher’s Certificate of New York and is an active member of the National Council of Teachers of Mathematics. Ms. Kuzminer, as a teacher of English and a school administrator, adheres to the philosophy that all children may achieve a measure of greatness through encouragement, sensitivity, kindness, and a quality foundation for learning. All of these methods must be employed by teachers who understand and never forget that students are individuals, no matter the age group. Ms. Kuzminer’s current work involves emphasizing critical thinking and reading as well as the arts of written expression. She holds a Bachelor of Arts degree in English from SUNY Buffalo and a Master of Art’s Degree from the University of Vermont in English Literature. Mrs. Belopolsky is an enthusiastic educator who inspires every single student thru positive reinforcement and more importantly individualized approach. By being informed in the latest pedagogical methodologies Mrs. Belopolsky ensures that each student carries away from her classroom a life long love of learning, reading, and self expression through writing. Mrs. Belopolsky has demonstrated a great connection with her students in the last 11 years working for Big Apple Academy. She has developed a unique reading program for Kindergardeners based on Phonemic Approach. The appropriateness of the program have shown tremendous results where Kindergardeners begin to read simple structures as early as five weeks into the program. Mrs. Belopolsky holds a Bachelor of Art’s Degree in Speech-Language Pathology from City University of New York – Brooklyn College and a Master of Science’s Degree in Speech-Language Pathology from Long Island University. She holds a Permanent Teacher’s Certificate of New York and is an active member of American Speech and Hearing Association (ASHA). Natalie Yankovski is an enthusiastic educator who places a great emphasis on differentiation and innovative instructional strategies. She believes that teaching and learning are cooperative acts, and a teacher not only imparts knowledge, but also prepares and motivates students to accept and learn skills important in their future lives. 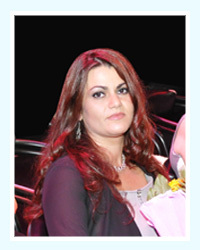 Ms. Yankovski holds a Bachelor’s and Dual Master’s degrees in Education and Psychology. She is a Board certified professional with 12 years of experience in the field of education and as such, takes pride in leading the Department of Science and Social Studies at Big Apple Ins. – a school that inspires, motivates, and prepares its students for success. 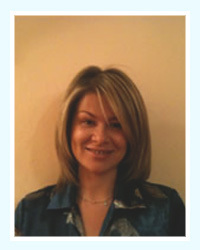 Diana Pakhomenko has a combined 30 years of teaching experience, of which 7 years has been in the Big Apple. She has a Master of Arts in teaching the Russian and Ukrainian languages and literatures and a Master of Arts in Elementary Education. Extensive, international experience allows her to combine the European and American pedagogical methodologies into one, solid program for students. 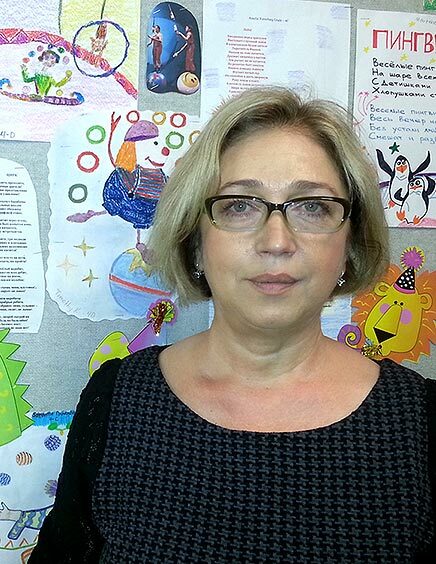 Diana Pakhomenko’s lessons develop students’ critical thinking, instill skills of literate writing, and foster development of proper spoken language. Student progress and the overall quality of in-class as well as homework-based learning are under a constant supervision of the teacher; she always seeks to cater the curriculum to the unique needs of her students. That is why, Diana Pakhomenko’s classes offer a good psychological climate; all students feel comfortable in the learning environment, so they actively participate in the work at hand and display unwithering engagement in lesson material.